Anastasia Kozhukhova is an English to Russian language professional specializing in legal and marketing texts as well as website localization. In addition to being a successful freelance translator, Anastasia is also a ProZ.com professional trainer, sharing insight that she’s gained throughout her career with the community. In today’s guest post, Anastasia shares some tips on how to effectively communicate with clients. For the last three months I have been thoroughly studying the issue of communication with clients from the point of view of translation business and discovered a paradox – though Translators usually make their translations in a clear and concise manner (at least, they are expected to), very often their business writing and communication with the clients lacks this persuasiveness and conciseness. As a result, many Translators do not get the results they want when cooperating with their customers. Understanding your target audience perfectly (you should know who is going to read your email). Today I will tell about one aspect which I consider to be one of the most important ones in communication with clients when you just start cooperating with them and want to prove that you deserve being their reliable partner when it concerns supply of translation services. This aspect is about being READER-FOCUSED in each email you send to your customers. I am sure that you have already heard and read a lot about focusing on your client. But how can we achieve this in practice? This remains a confusing question for many freelancers. This is true that people like reading only about themselves and their problems. They are not interested to know about your professional experience and skills even if the latter are really outstanding. The clients only want to know how you can solve their problems and make their life easier. To achieve this and motivate the prospective clients to read your emails, I suggest focusing on using You/Your pronouns instead of I/My in each email you send. Below you will find some examples of how in one and the same idea we can shift the focus from ourselves and our achievements to the customer’s needs and problems. As you see, in the first sample the Translator applying to a job post focuses only on himself and does not make an attempt to link his skills with the requirements of the company mentioned in the advertisement. In the second sample the Translator does his best to emphasize that first of all he carefully read the job post and understood the customer’s problem and main requirements. Please let me know your time zone, so that you can receive translations from me at the time convenient for you. From these samples you can see how you can shift the focus to your customer even when asking such simple and routine questions like these. Please mind the usage of pronouns I and You in these samples. I am pleased to inform you that now I have built my team consisting of Professional Translators, Editors and a Designer and that we are open and ready to accept larger projects and provide translations in a timely manner. Your projects will be turned around more quickly and you will enjoy a higher degree of accuracy than was previously available, because I have built my own team of Professional Translators, Editors and Designers which is now ready to work for your business. So, now you see how powerful the usage of pronouns and shifting the focus to the customer can be in business communication with both your prospective and recent clients. Start applying these easy-to-use principles in your daily business communication and see how quickly your results and effectiveness will increase and how many new projects you will get! If you are interested in making your email communication even more effective (especially with your prospective customers), you are welcome to attend my Webinar on ProZ.com which will take place on July 28 and which is called “Effective Email Communication with the Customer for a Translator”. – sending an update on your skills and services, so that to keep your customers engaged. I will be glad to see all of you on July 28th and wish you good luck in improving your business writing right after reading this article! Thanks to Anastasia for sharing this information with us! This is the fifth post (already!) in the ten-part series that provides information on ten different strategies for staying competitive and growing your translation business. Knowledge acquisition and business expansion go hand in hand in the translation market. Improving translation and business skills is a must for any language professional, specially if they want to meet new clients and increase their income. Professional translators should never stop looking for new ways to expand the list of services they can offer to clients, learning how to use new translation tools and software, for instance, and constantly improving their language skills, and expanding their knowledge on translation essentials and theory. How can I expand my knowledge at ProZ.com? Learn more about ProZ.com training sessions here. What other ways of expanding your translation and business knowledge do you know? Have you ever taken a translation-related training course? Were you able to apply what you learned later on? Make sure you check the next post in this series on Staying abreast of industry news and trends, to be posted in the next few days. January is coming to a close already. 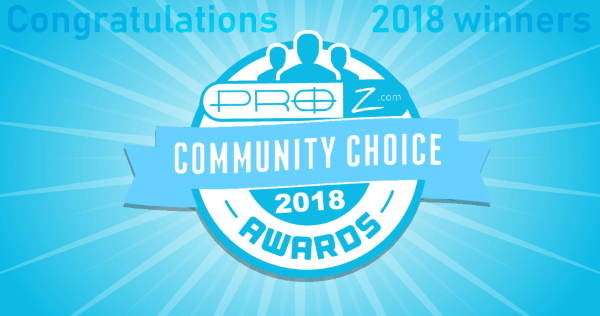 The ProZ.com newsletter for this month is on its way out, and if you have not received it already you should be getting it shortly. An interesting quick poll on translator job satisfaction, which had a follow up poll today. The free webinar series and the “Meeting clients at ProZ.com” webinars, which will continue in February. A detailed list of membership benefits. The start of this blog! Wikipedia turned 10 and moved forward with expansion into India to increase the user base for local language Wikipedias, while Asia Online introduced their Thai-language translation of Wikipedia. The ATA announced their officers for 2011. Arle Lommel reflected on changes in localization standards over the past 12 years and on moving forward. SDL announced some management changes, and the folks at Global Watchtower reported on the evolution of SDL’s TMS project. Thanks to Judy Jenner and Corinne McKay, NPR received some clarification on the difference between a translator and an interpreter. Google’s conversation mode feature got some attention. Vint Cerf spoke of the leaps made in statistical translation, while cautioning on its application. Finally, the news on Starbucks’ new logo, reported on by Renato Beninatto (check out his considerations on localization with regards to this and other brands/logos) and also in the media at large, seems to have caused some interesting reactions from language professionals. You can follow these and other translation industry stories through the Translation news service. Have I forgotten something? Let me know!